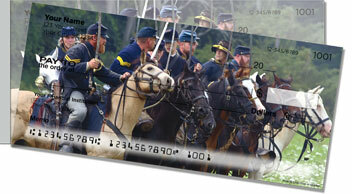 If the American Civil War intrigues you, the eye-catching photos on this check design are the perfect pick for your checkbook! The patriotic selection displays imagery from a Civil War reenactment held at a Wisconsin State Park in the beginning of Autumn. 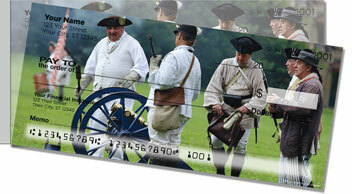 It's a great choice for those who enjoy brining the past to life, and all sorts of American History buffs. But the best thing about your new checks is how they're so much easier to use. 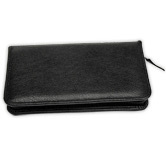 The shorter, side perforation makes removing checks without ripping super simple. That's one less hassle for you to worry about. 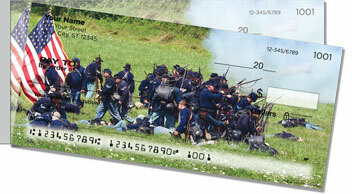 Get your very own Civil War Reenactor Side Tear Checks now! 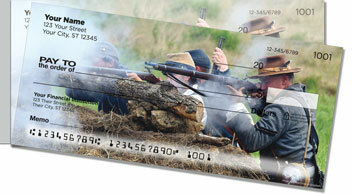 We also offer a set of matching address labels.